Several lists of churches and other Christian properties that were burnt yesterday (August 14, 2013) are circulating on the internet. Amira Michael’s list is well-organized and partly documented. The Into Oblivion list looks also rather acurate, giving some indications in how far reports have been confirmed. This is a list of the Maspero Youth Union on Facebook. Picture: from Facebook, photographer unknown. 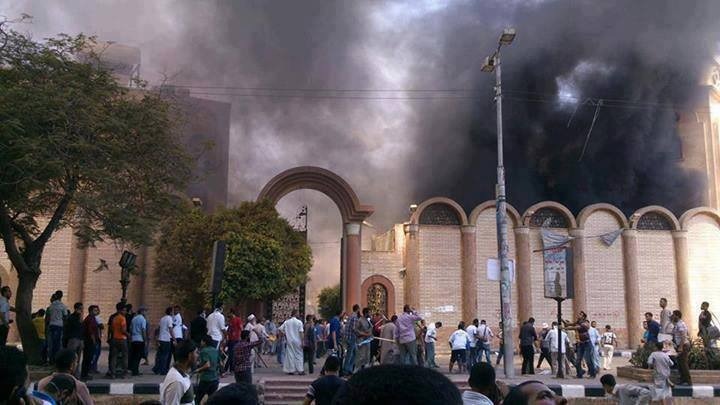 Tags: burning, Christians, churches, copts, Egypt (tag), list. Markeer de permalink als favoriet. De herdersstaf: kruk of kruis?